We love gingerbread everything all year long. How about you? 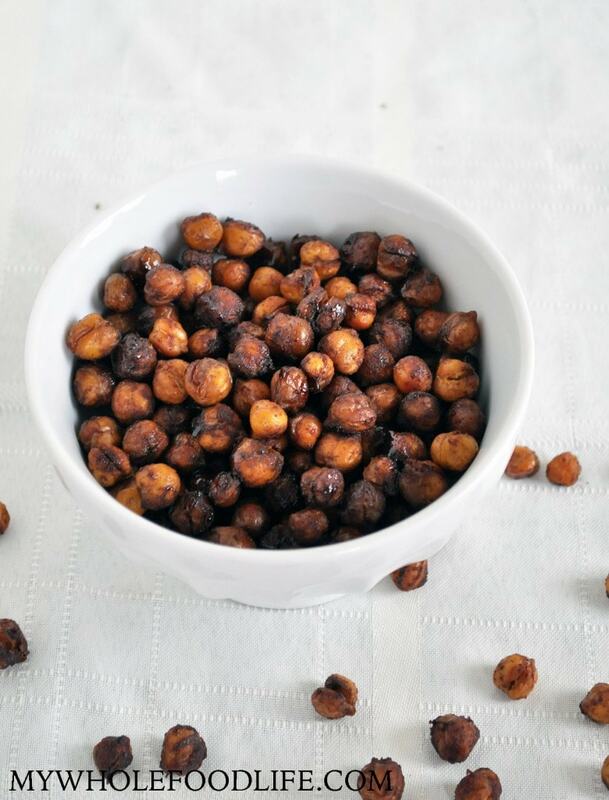 These Gingerbread Roasted Chickpeas are perfect just about any time. 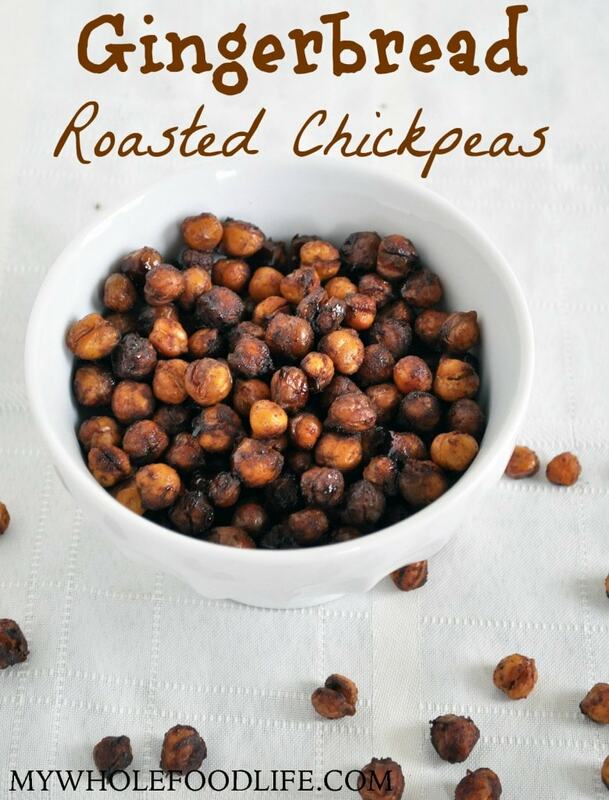 I love roasted chickpeas because they are an allergy friendly snack. My daughter is allergic to tree nuts and sesame seeds, so she loves to snack on roasted chickpeas. This would make the perfect party snack too. This healthy snack is vegan and gluten free. Super simple to make too. I also think my maple glazed pecans make an awesome party snack! A healthy snack alternative to chips! Pat the chickpeas dry with a towel. Bake for 50 minutes, stopping every 15-20 minutes to shake them around. To store these, let them cool completely. Then scatter rice at the bottom of the storage container. The rice should help absorb the moisture and keep the chickpeas crunchy. Enjoy!! Shouldn't it be 2 cans of chickpeas to equal 3 cups? TIA! Could you do these in a dehydrator too? I never thought to do that! Does it keep them crunchy? These are even better when you let them marinate prior to baking. I marinated for a couple of hours and they were great. I'm going to try overnight next time (if I can wait that long). These are SO good. I'm obsessed. Thanks for the recipe! I love roasted chickpeas!!! And your versions are always the best! !